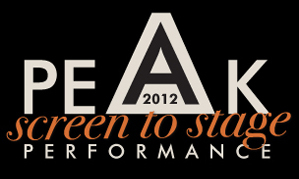 On 4th and 5th July 2012 Reynolds Performing Arts took part in the biggest production of PEAK to date. This year at the Orchard Theatre in Dartford, the show was a fantastic showcase of the colleges hard work, which has received great reviews and congratulations across the board. With hard work from all the talented staff, the show was a visual treat from the performance numbers to the beautiful lighting and awesome music. Two of our 2nd year and 1st year students have been offered contracts with Spillers pantomimes as a result from performing in PEAK. Hannah Prior and Georgia Holland (2nd years) will be performing in Aladdin in Motherwell, Scotland. Ben Carter and Leanne Robertson (1st years) will be performing in Cinderella in Bogner Regis with Leanne playing the part of Cinderella!